O when it may suffice? That was William Butler Yeats, the great Irish poet, in Easter 1916 talking about the heroic sacrifice made by the 16 Republicans executed in the Easter Rising. The centuries-long hatred and stone-heartedness built up between Catholics and Protestants seemed as if it would never end. But it did – not completely, of course – just enough for the violence to subside following the Good Friday Agreement of April 1998. It was a long and gruelling process, but the final agreement was mailed to every household in Northern Ireland and a referendum was held in both the North and the Irish Republic on May 22. Seventy-one point two per cent of people in Northern Ireland and 94.38 per cent in the Republic voted to accept the agreement. Ban Ki-moon has repeated the UN’s call for an immediate, unconditional ceasefire to the fighting in Gaza that has killed more than 13 hundred Palestinians, mostly civilians, and 55 Israeli soldiers and three civilians. Social media has gone viral with comments from Palestinians and Israelis and their supporters. Photographs of dead and wounded children, grieving parents and devastated parts of Gaza have enraged Palestinians, claiming Israeli missile strikes have caused the carnage. This prompted Israel to blame Hamas for misfiring rockets into buildings, including hospitals and schools. MARK REGEV: At this stage we’re still investigating exactly what happened. What we do know is that there was a fire fight in the immediate vicinity of the UN facility, armed forces taking fire and returning fire from Hamas terrorists. CHRIS UHLMANN: And you were told 17 times that people were sheltering there? MARK REGEV: I don’t know for a fact and neither do you that it was an Israeli fire that led to those very, very tragic deaths. CHRIS UHLMANN: What do you suspect? MARK REGEV: We did not deliberately, I repeat, we did not deliberately target that school. Twenty-four years later, those little children who survived are continuing the war against Israeli aggression, and Israel is still fighting against Hamas rockets. Too long a sacrifice can make a stone of the heart, and it’s obvious that both sides have developed hearts of stone. How can the world bring them together? UPDATE: Friday, August 1 8.55am (AEST) The international community finally managed to get Israel and Hamas to agree to a 72-hour ceasefire in Gaza, starting at 3pm Australian time today. The US Secretary of State, John Kerry, announced the truce jointly with the UN Secretary-General Ban Ki-moon, who, as mentioned above, has been tireless in his efforts to end the war. The good news for Gaza, which has had very little lately, is that Israelis and Palestinians will enter talks in Cairo, and that all parties to the conflict had agreed to an unconditional ceasefire during which there would be negotiations on a more durable truce. Fingers crossed this will be another historic agreement that began on a Friday. But don’t hold your breath. UPDATE 4 Wednesday, August 6 3.50pm This will be my last update on my original post. I will publish a longer one when it’s warranted. There has been some good news. 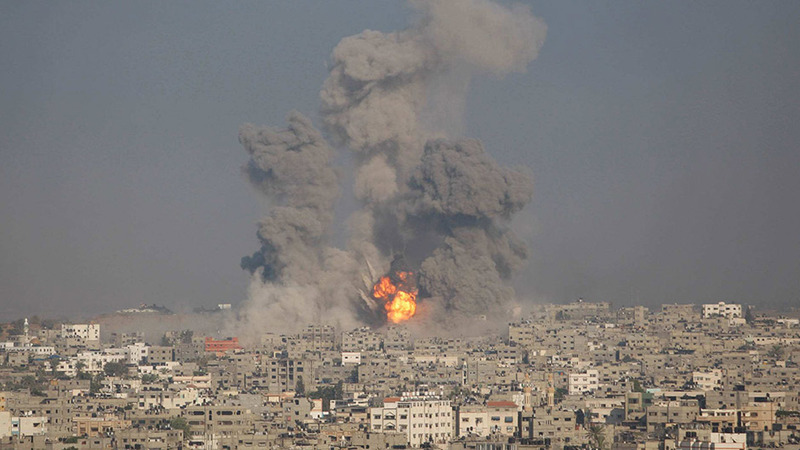 After one day, the ceasefire is continuing and Israel has pulled its ground forces out of the Gaza Strip. It’s the first step towards negotiations on a hopefully more enduring end to the month-old war which has killed more than 1,800 Palestinians and 67 Israelis. Israel has completed its main goal of destroying cross-border infiltration tunnels in Gaza. Israeli spokesman Lt-Colonel Peter Lerner said troops and tanks will be “redeployed in defensive positions outside the Gaza Strip and we will maintain those defensive positions.” In other words, the war could resume at any time if Hamas fires rockets into Israel. Let’s hope negotiations bear some fruit for a change.